What are the Reasons for Lower Heart Attack Risk in the US Virgin Islands? 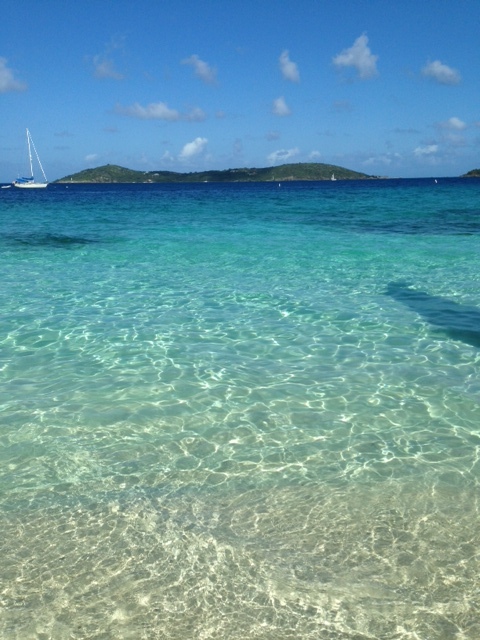 The skeptical cardiologist was hard at work researching cardiovascular disease in the Virgin islands last week. It was a tough assignment, but I felt I was the right man for the job. It required me to leave the snow and freezing temperatures of St. Louis to fly to St. John where the daytime highs are 82 and the nighttime lows are 73 and the skies are clear to partly cloudy every day. The United States Virgin Islands (USVI) are located 1100 miles southeast of Miami and cover 346 square miles, with an estimated population of 112,000 residents, who live primarily on three islands: St. Croix, St. Thomas, and St. John. About 78 percent of the residents are Black (African-Caribbean), 10 percent White, and 12 percent “other.” Just under half (49 percent) of the population was born in the Virgin Islands. Native born or naturalized Virgin Islanders are U.S. citizens. Interestingly, the CDC has reported that the USVI has the lowest rate of heart attack (2.1%) of any state or territory in the US. (W. VA is highest at 6.4%). In addition, a recent study, has shown that blacks in the USVI have a significantly lower rate of cardiovascular disease than blacks in the other 50 states. Using my cardiology sleuthing skills on site in several Cruz Bay bars and at various beaches and hiking trails I have come up with several hypotheses for the remarkably low rate of cardiovascular disease in this area. This must explain why rum-based drinks are incredibly cheap in St John. The skeptical cardiologist and the significant other of the skeptical cardiologist (SOSC) found, during the course of their research, that at many beachfront bars, multiple rum-based drinks such as Dark and Stormy’s, Painkillers, and Rum Punches were priced at 3$ during happy hour. Happy hours extended for particularly long hours. It is well known that alcohol in general raises the good cholesterol, HDL, and lowers cardiovascular disease when consumed in moderation. But could rum have a special cardioprotective effect? More studies are clearly needed in this area. 2.Incredibly beautiful weather, beaches and topography. Our extensive investigations led us to detailed examinations of Solomon, Honeymoon, Caneel, Trunk, Cinnamon, Gibney, Jumbie, and Salt Pond Bay beaches on St. John At these beaches we found that the clear, warm, aquamarine waters with coral reefs close to shore allowed for excellent snorkeling, thus promoting extensive physical activity. Similarly, multiple hiking trails in the Virgin Islands National park (which covers two-thirds of St. John), stimulated the desire to walk. Physical activity is known to substantially reduce the risk of cardiovascular disease. Could increased physical activity related to a conducive environment be playing a role here? 3.Sun exposure. Some studies suggest a role of low Vitamin D levels in promoting heart attacks. Vitamin D deficiency links to cardiovascular disease can be found in a number of studies demonstrating a 30% to 50% higher cardiovascular morbidity and mortality associated with reduced sun exposure caused by changes in season or latitude. Conversely, the lowest rates of heart disease are found in the sun-drenched Mediterranean coast and in southern versus northern European countries. Cardiac death has been reported to be the highest during winter months. 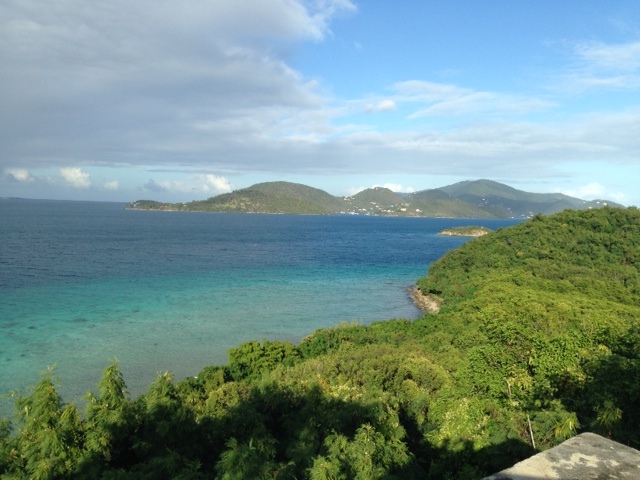 Is increased sun exposure responsible for the lower heart attack risk on the Virgin Islands? 4.Diet. Our research took us to several restaurants in Cruz Bay, however, I don’t feel that we got a good feel for the typical diet of the people of USVI. The only restaurant that was not owned and operated by rich white people and frequented by predominantly rich white people was an overpriced BBQ joint. The food did not seem different from what one could easily get in a modestly sized mainland city. 5. Relaxed Lifestyle. Epidemiological data show that chronic stress predicts the occurrence of coronary heart disease (CHD). Employees who experience work-related stress and individuals who are socially isolated or lonely have an increased risk of a first CHD event. In addition, short-term emotional stress can act as a trigger of cardiac events among individuals with advanced atherosclerosis. Could the laid back life style in the Caribbean where every one seems to be on “island time” be a factor? Clearly more research is needed into this topic. Rest assured, the skeptical cardiologist and SOSC will be actively investigating these potentially life changing issues in more detail next winter. Previous PostEgg Nog: Recipe for a Heart Attack or Heart Healthy?Next PostIt’s Time to End the War on Fat: Dietary Fat Doesn’t Make You Fat or Give You Heart disease.